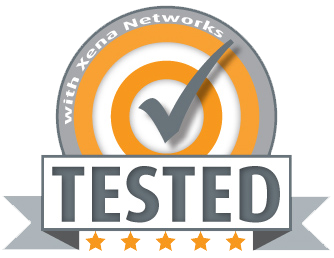 The Vulcan Licensing System is part of the ChassisUpgrader application that is responsible for upgrading your Xena tester chassis with new firmware. Vulcan consists of two L4-7 hardware platforms: the VulcanBay and the VulcanCompact (which replaces the Layer 2-7 XenaAppliance). These units come complete with perpetual performance licenses. It also includes one year of free software upgrades and hardware warranty. After that, customers can extend coverage as described in the section “Extended Warranty and Service Agreements”. IMPORTANT: Unlike the “End Of Life” XenaAppliance, the VulcanCompact does not support Layer 2-3 test modules. All 3 VulcanBay chassis have 28 Packet Engines, which customer can freely assign to ports to achieve the desire performance. 2. There are 4 types of speed license (for 1GE, 10GE, 25GE & 40GE). 3. There is also a special license for enabling TLS traffic generation. How to purchase an additional speed license? Once this has been done, an email will be send with the new license certificate with instructions on how to active the new license. This is done through the VulcanManager.